Charice was pleasantly surprised by the Chasters (the collective name of her fans) who wore masks of famous people who are close to her. "Ang international pala ng concert natin. Nandiyan si David Foster at David Archuleta!" she quipped. During the concert, the protegé of the Hit Man invited everyone to watch her in a David Foster and Friends concert in Manila this October. She also mentioned that she will appear in a popular American show soon but she refused to reveal details about it. "Ang masasabi ko lang, super 'in' ito at isa siyang show," she said. BECAUSE OF HER MOM. When asked how she manages to remain grounded all this time, Charice gave credit to her Mommy Raquel by saying, "Siyempre po dahil sa parent ko. She's a single mom... I'm 18 now and my brother [Carl] is 15 now and imagine, napalaki niya kami na siya lang mag-isa." Mommy Raquel told PEP (Philippine Entertainment Portal) that her eldest daughter will have an Asian tour for her international album Charice this June. By July, she will tour European countries to promote her 12-track album under Warner Music. CHARICE, THE COMPOSER. During the event, fans of Charice were able to hear her rap when she performed the song "Reset," which has Tagalog lyrics that go: "Hey hey! Pakinggan mo naman ako / Hey hey! I think this is the way na dapat gawin / Reset! Sana naman ika'y sang-ayon din / To all the things that I'm gonna say / I wish ika'y pumayag din / Mag-aagree ka ba?" Charice then revealed that she herself composed the Tagalog lyrics in this song. According to Mommy Charice, David Foster was impressed when he heard Charice rapping a song of Salbakuta so they decided to come up with a rap song for her album. To date, the album Charice is at No. 8 on Billboard's Top 200 album chart in its first week of release. How does Charice feel about this development. "Nakakatuwa nga kasi usually, di ba, sa kanila, inuuna nilang i-buildup ang single? Pero ang nangyari sa akin, ang album ang nauna nag-zoom kaysa sa single. For me, that's better kasi album yun, e," the international singer replied. When asked how she felt to be part of the Catholic Church, the Filipina singer said, "Sobrang magaan ang feeling kasi hindi naman ako against sa isang religion, proud ako na naging Iglesia ni Cristo ako. Pero siyempre, yung Mommy ko kasi dati na siyang Katoliko, so gusto ko pare-pareho kami ng religion. For me naman, wala naman sa religion yun, isa lang naman ang Diyos natin. As long as naniniwala ka sa kanya, yun ang importante. Happy ako na Catholic na ako at magaan ang feeling." According to Mommy Raquel, her children accompany her when she hears mass in a Catholic church but Charice and Carl do not take communion. "Thirteen years namin hinintay ang pagkakataon na ito, na maging Katoliko sila!" exclaimed Mommy Raquel in an interview held before the album launch. Mommy Raquel became a member of the Iglesia ni Cristo when she married her husband Ricky Pempengco. However, she became an inactive member when they separated. PEP asked Mommy Raquel if she invited Charice's father to the event. She said that she no longer communicates with her estranged husband. She revealed that she has not talked to him for the past 10 years while her children have not seen them in 13 years. 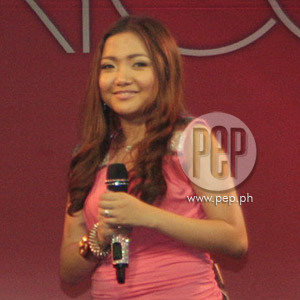 When asked why they did not hold a formal debut for Charice, she explained, "Noong una, gusto nga namin isang malaking event para kay Charice. Pero sa kanya na rin nanggaling na magkaroon na lang ng simpleng event para i-share ang blessings niya sa iba." In fact, after the baptism and confirmation rites, a simple reception was held in the church quadrangle wherein children sang "Happy Birthday" for Charice. She also helped street children in Manila through a "soup kitchen" feeding program. On the afternoon of May 22, Charice spent the afternoon at Enchanted Kingdom with children from Bantay Bata, World Vision and the Institute for Foundational Learning Philippines. 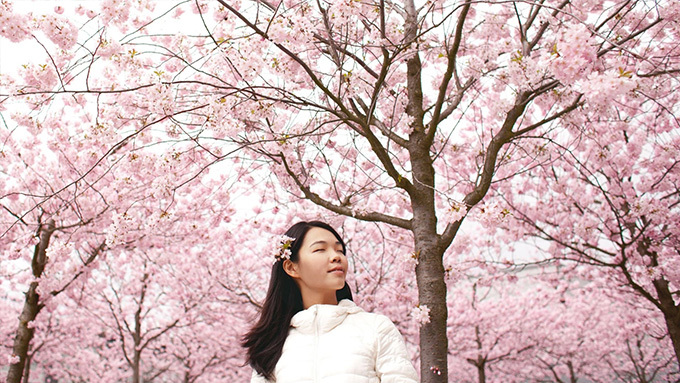 Charice is currently in Japan to record songs for her Japanese album, which will be released by Warner Music Japan. Charice is then scheduled to go back to New York City to conduct a series of radio tours to promote her album.